Bariatric (weight loss/obesity) surgery includes a number of procedures designed to help obese patients achieve long-term sustained weight loss. Most procedures are performed using laparoscopic (keyhole) surgery under general anaesthetic. These procedures are suitable for patients who have tried (and failed) to achieve significant weight loss by dietary and lifestyle modifications. As most of these procedures are often considered non-reversible, they should not be viewed as a short-cut to losing weight. They require a lifelong commitment from patients to ensure they will adhere to and achieve the necessary dietary and lifestyle modifications in maintain successful weight loss in the long-term. That said obesity and morbid obesity are not benign conditions; they increase the risks of developing serious life-threatening conditions such as diabetes, heart disease, fatty liver disease, and certain cancers. Overall severe obesity can shorten life expectancy by as much as 7-10 years. Prior to surgery patients will be assessed thoroughly and supported by various members of the multi-disciplinary team to ensure they meet criteria for surgery, have a good understanding of the procedures and the dietary and lifestyle modifications needed to achieve a good result after surgery. 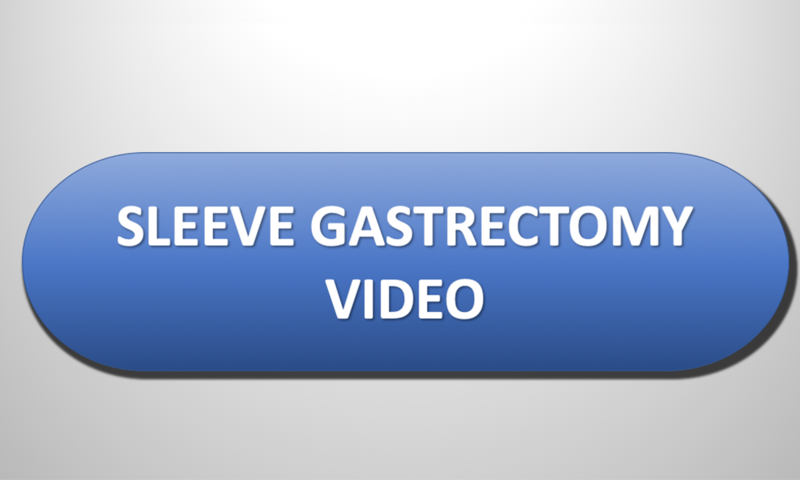 The sleeve gastrectomy is a surgical procedure performed using keyhole surgery (five small scars) under general anaesthetic with a 1-2 day hospital stay. Watch the animated video by clicking the video link (audio commentary available). Sherif Awad uses staple line reinforcement (GORE SEAMGUARD) to reduce the risks of leaks and bleeds following surgery. The sleeve is not a reversible operation. The operation aims to remove 75% of the stomach allowing patients to eat small portions leading to fullness and weight loss. Additionally, the operation removes the upper part of the stomach which produces ‘hunger hormones (such as Ghrelin)’ leading to reduced feelings of hunger. The sleeve is designed to help maintain long-term weight loss and should be viewed as a tool to aid weight loss. To achieve a good result from surgery patients will need to implement the appropriate dietary (correct food choices) and lifestyle (regular daily exercise) modifications and attend regular follow-up appointments in order to achieve and sustain good long-term weight loss. On average patients can expect to lose 25-30% of their total body weight over a period of 12-months. The operation has also been shown to improve multiple medical conditions such as high blood pressure, diabetes, raised cholesterol, fatty liver disease and effects of polycystic ovaries syndrome (PCOS). Most patients are able to reduce medications given for these conditions; if not come off them altogether. Following surgery patients will need to take a daily multivitamin tablet, daily vitamin D tablet, daily iron tablet and three-monthly vitamin B12 injections via the GP. In certain patient groups (Asian, Middle eastern, African, Caribbean) the BMI thresholds for surgery are reduced by 2.5 BMI points. The gastric bypass is a surgical procedure performed using keyhole surgery (five small scars) under general anaesthetic with a 1-2-day hospital stay. Watch the animated video by clicking the video link (audio commentary available). The bypass can (in rare instances) be reversed. The operation involves dividing the upper stomach to form a small pouch to which is attached small bowel. 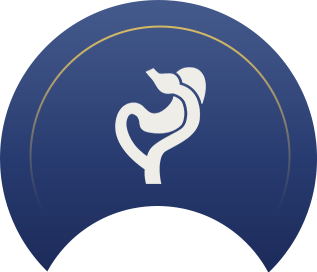 This allows re-routing of food to the lower parts of the intestine which leads to release of gut hormones (such as GLP-1) which have numerous beneficial effects leading to weight loss and improvement of numerous medical conditions. The bypass is designed to help maintain long-term weight loss and should be viewed as a tool to aid weight loss. To achieve a good result from surgery patients will need to implement the appropriate dietary (correct food choices) and lifestyle (regular daily exercise) modifications and attend regular follow-up appointments in order to achieve and sustain good long-term weight loss. On average patients can expect to lose 30-35% of their total body weight over a period of 12-months. Additionally, the bypass has also been shown to improve multiple medical conditions such as high blood pressure, diabetes, sleep apnoea, raised cholesterol, fatty liver disease and effects of polycystic ovaries syndrome (PCOS). Most patients are able to reduce medications given for these conditions; if not come off them altogether. Following the surgery patients will need to be on (lifelong) a daily multivitamin tablet, daily calcium and vitamin D tablet, daily iron tablet and three-monthly vitamin B12 injections via the GP. In certain patient groups (Asian, Middle-eastern, African, Caribbean) the BMI thresholds for surgery are reduced by 2.5 BMI points. 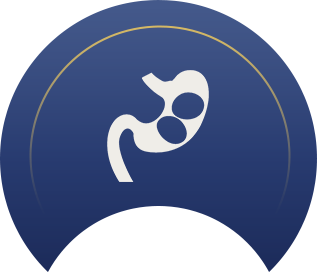 The mini-gastric bypass is a surgical procedure performed using keyhole surgery (5 small scars) under general anaesthetic with a 1-2 day hospital stay. Watch the animated video by clicking the video link. 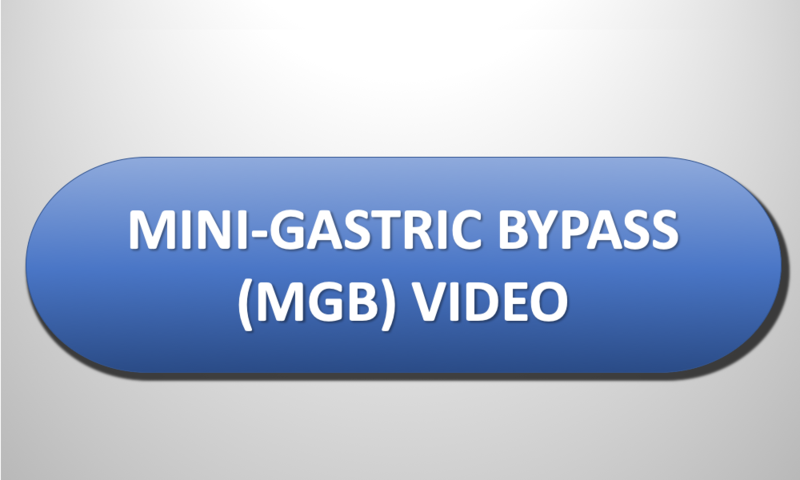 The mini-gastric bypass can (in rare instances) be reversed. 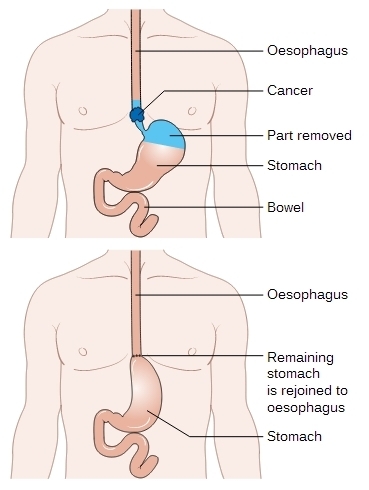 The operation involves dividing the upper stomach to form a longer pouch to which is attached a loop of small bowel. This allows restricting the amount of food which can be eaten and re-routing of food to the lower parts of the intestine which leads to release of gut hormones (such as GLP-1) which have numerous beneficial effects leading to weight loss and improvement of numerous medical conditions. The mini-gastric bypass is designed to help maintain long-term weight loss and should be viewed as a tool to aid weight loss. To achieve a good result from surgery patients will need to implement the appropriate dietary (correct food choices) and lifestyle (regular daily exercise) modifications and attend regular follow-up appointments in order to achieve and sustain good long-term weight loss. On average patients can expect to lose 30-35% of their total body weight over a period of 12-months. Additionally, the bypass has also been shown to improve multiple medical conditions such as high blood pressure and diabetes. Most patients are able to reduce medications given for these conditions; if not come off them altogether. Following the surgery patients will need to be on (lifelong) a daily multivitamin tablet, daily calcium and vitamin D tablet, daily iron tablet and three-monthly vitamin B12 injections via the GP. 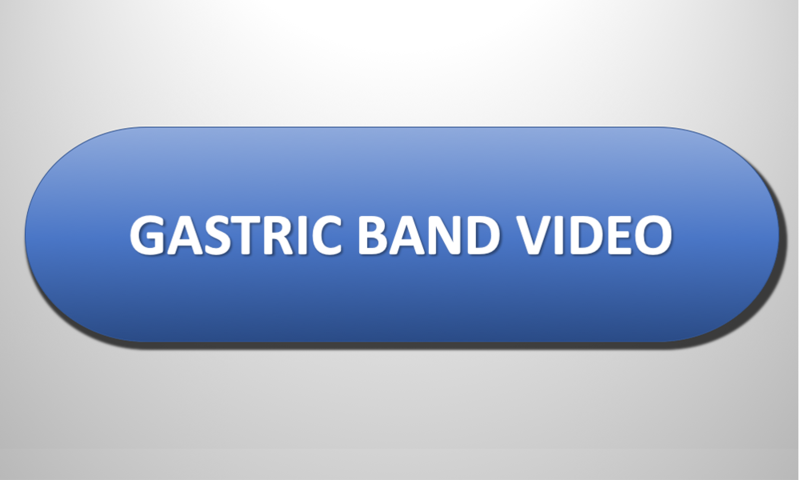 The gastric band is a surgical procedure performed using keyhole surgery (five small scars) under general anaesthetic as a daycase procedure (or overnight hospital stay). Watch the animated video by clicking the video link (audio commentary available). Sherif uses the Apollo LapBand (small and large depending on the patient). The operation is reversible and places a silicon-based band around the upper stomach. This creates a small pouch which allows patients to feel fuller after eating a small meal and reduces the feeling of hunger between meals. The band is designed to help maintain weight loss and should be viewed as a tool to aid weight loss. To achieve a good result from surgery patients will need to implement the appropriate dietary (correct food choices) and lifestyle (regular daily exercise) modifications and attend regular follow-up appointments in order to achieve and sustain good long-term weight loss. Patients will need to attend clinic on a number of occasions for band fills/defills. On average patients can expect to lose 20% of their total body weight over a period of 12-18 months as the band is designed for slow continuous weight loss (1-2 pounds/week). Following surgery patients will need to take a daily multivitamin tablet. The intra-gastric balloon is an endoscopic procedure (no surgery or scars) which is performed under light sedation or general anaesthetic as a day case procedure (although some patients need an overnight hospital stay due to persistent nausea and vomiting). The balloon is inserted into stomach and removed after a period of six to twelve months. It is designed as a tool to aid short-term weight loss. To achieve good results patients will need to implement the appropriate dietary (correct food choices) and lifestyle (regular daily exercise) modifications, and attend regular follow-up appointments in order to achieve good weight loss. Patients will need to maintain these dietary and lifestyle modifications long-term in order to reduce weight regain after the balloon is removed. On average patients can expect to lose up to 10- 25kg in weight, mostly in the first three months, and then weight stabilises after this. This is only an average weight loss figure and some patients may not lose weight and others lose more these figures. Nausea and vomiting may commonly occur in the first 1-2 weeks after placement of the balloon as the stomach gets used to the balloon. Patients will need to be on a high dose antacid tablet to suppress acid production in the stomach for the duration the balloon is in the stomach (six or twelve months). After six or twelve months, the balloon is removed using endoscopy (often under general anaesthetic). The stomach returns to normal function and patients need to be careful with their dietary habits to avoid weight regain. 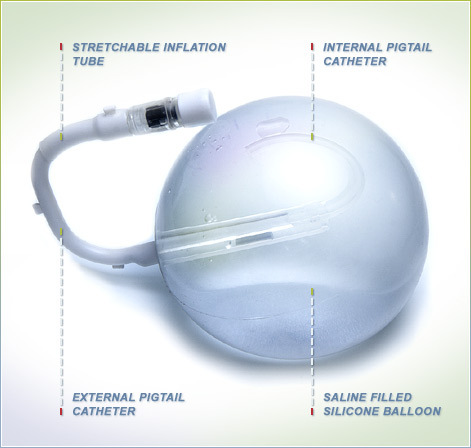 Sherif uses the Spatz-3 adjustable gastric balloon. This is amenable to having fluid removed (helpful in dealing with excessive side effects such as acid reflux, persistent nausea or vomiting or abdominal discomfort) or inserted (in cases where more weight loss is sought) during the six or twelve-month period the balloon is in situ. Balloon fills and defills require endoscopy, again performed under light sedation or general anaesthetic. To have a gastric balloon patients need to have a Body Mass Index (BMI) >27. 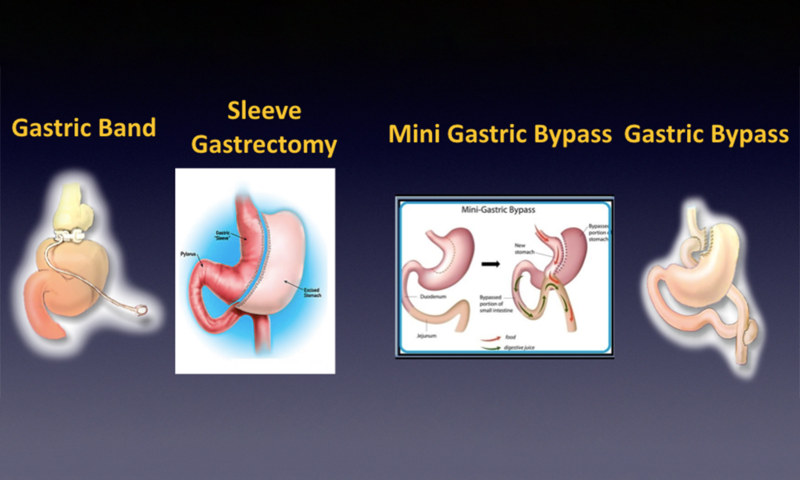 Revisional Bariatric Surgery means ‘re-do’ surgery in patients who have had previous Bariatric Surgery. 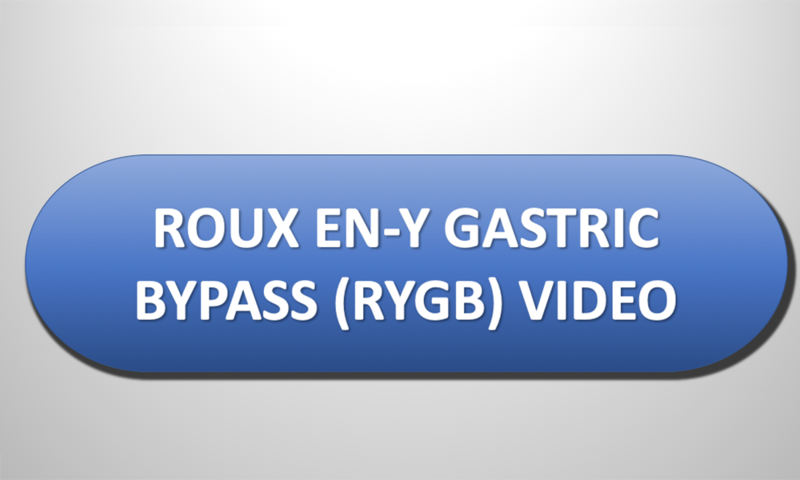 Examples include removal/reposition of gastric bands, conversion of Sleeve to Mini- or Roux en-Y Gastric Bypass, reversal of Mini- or Roux en-Y gastric Bypass or conversion of Vertical Banded Gastroplasty (VBG) to Roux en-Y Gastric Bypass. Patient selection is key as often these procedures are performed for weight regain or specific surgical/nutritional complications encountered after the initial operation. Sherif and his team will need to undertake a thorough patient assessment to determine the underlying cause of the problems. The team may undertake a number of investigations including endoscopy, barium studies and/or a CT scan prior to advising whether revisional surgery is appropriate. Body Mass Index (BMI) criteria may also need to fulfilled to be eligible for these procedures. 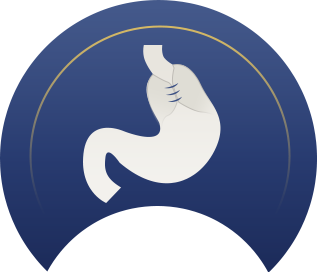 These procedures are performed for patients who suffer from gastro-oesophageal reflux disease (GORD). Often medications will be sufficient to keep GORD under control. Surgery is performed for patients who continue to have symptoms despite medication, who develop side effects to these medications or who do not want to live on medications. Before surgery a number of investigations will be required including endoscopy, a pH and manometry study and sometimes a barium study or CT scan. Nissen fundoplication and partial wrap involves keyhole surgery (five small scars) performed under general anaesthetic with an overnight hospital stay. 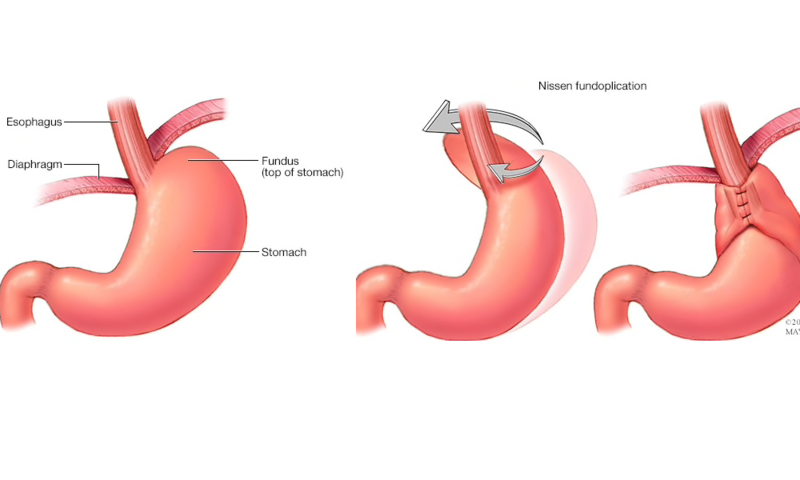 The surgery involved surgical suture repair of weakness in the diaphragm muscle (hiatus hernia) and freeing the top part of the stomach (fundus) to allow it to be wrapped completely (Nissen 360-degree wrap) or partially (Anterior Dor-180 degree wrap) around the top of the stomach. This recreates the ‘antacid-valve’ mechanism of the stomach helping to reduce occurrence of acid and food reflux. Patients are able to stop taking antacid medications immediately after surgery and are able to have improved quality of life. These operations have up to a 90% success rate at 10-years postoperatively. Patients will be required to eat a ‘sloppy’ diet for two weeks after surgery following which they will be able to resume solid foods. 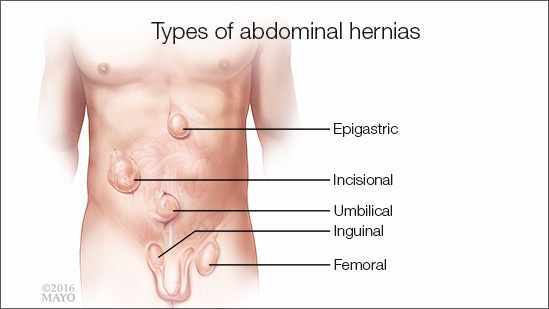 Paraoesophageal and giant hiatus hernias are conditions whereby part or most of the stomach migrates from the abdomen into the chest. This results in numerous symptoms such as difficulty eating and food sticking, acid or food reflux, recurrent vomiting after or chest pain after eating, early fullness or weight loss, and vomiting blood. Investigations will often be by endoscopy, barium study and CT scan of the chest and abdomen. Keyhole surgery is performed (five small scars) under general anaesthetic with a 2-3 day hospital stay. The operation involves mobilizing and freeing up the stomach from the chest to allow the stomach to lie back in the abdomen. The widened weakened diaphragm muscle (hiatus hernia) is repaired using sutures and often Mesh. 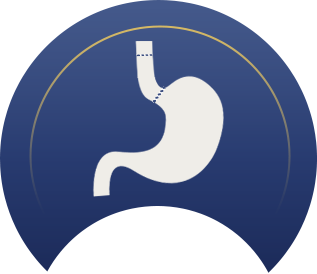 A fundoplication (see above) procedure is often performed to reduce occurrence of acid reflux after the surgery. Patients will be required to eat a ‘sloppy’ diet for two weeks after surgery following which they will be able to resume solid foods. 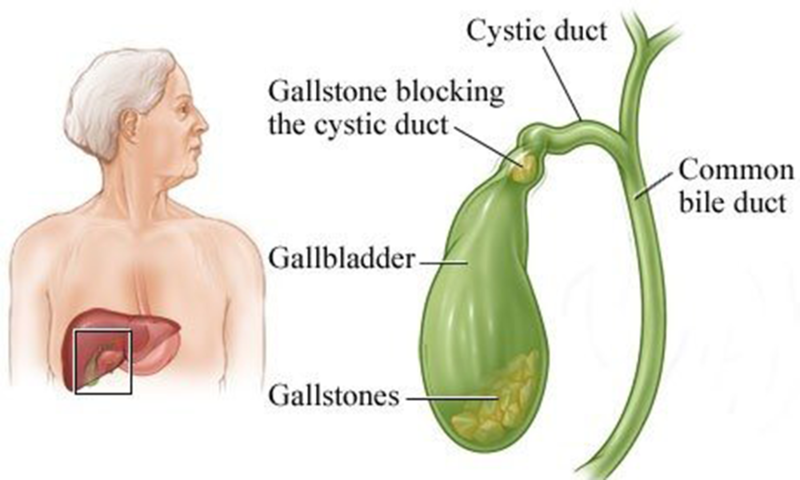 Gallstones may cause numerous symptoms in patients including biliary colic (recurrent episodes of right-sided abdominal pain), cholecystitis (inflammation of the gallbladder leading to pain and fever, often needing hospital admission and antibiotics), jaundice (yellowing of the skin and eyes), and acute pancreatitis (severe abdominal pain associated with vomiting, often needing hospital admissions). Laparoscopic cholecystectomy is a keyhole operation (four small scars) performed under general anaesthetic as a daycase or overnight hospital stay. Surgery involved removing the gallbladder (and associated gallstones) leading to resolution of the above symptoms in most patients. 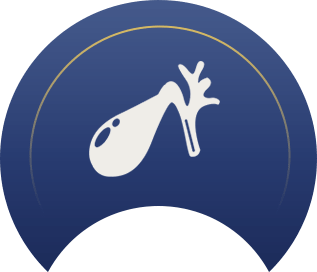 Sherif performs on table cholangiogram when necessary – this is a specialist X-ray during the operation to ensure stones have not passed into the main bile duct and to ensure correct anatomy before clipping the gallbladder duct and removing the gallbladder. This helps to reduce the risk of complications from the surgery (such as major bile duct injury). Sherif is a specialist surgeon for conditions of the oesophagus, stomach and small bowel and utilises the laparoscopic (keyhole approach) whenever possible. Conditions treated include Cancer of Oesophagus or Stomach, Heller's Myotomy for Achalasia, removal of GIST tumours of the stomach or small bowel, resection of small bowel tumours/lesions and division of adhesions. 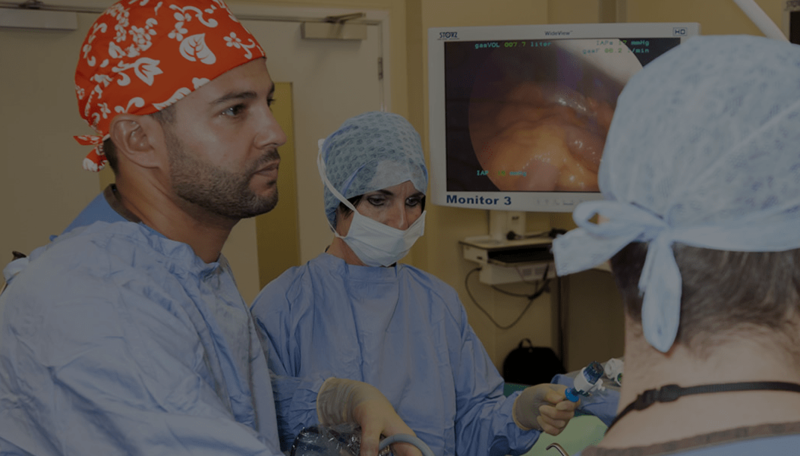 Sherif is a member of the Specialist Upper Gastrointestinal Cancer Multi-disciplinary Team (MDT) and undertakes these procedures as part of his usual practice. You will usually be assessed and co-managed by other members of the MDT. This involves passing a slim camera (endoscope) via the mouth into the stomach. The procedure is performed under local anaesthetic throat spray or light sedation. 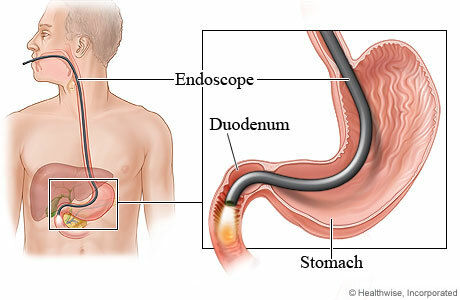 Endoscopies are used to investigate disorders of the oesophagus, stomach and duodenum and a small biopsy is sometimes taken. Sherif performs both planned and emergency small bowel surgery laparoscopically. Conditions include division of adhesions, small bowel resections for tumours or strictures.